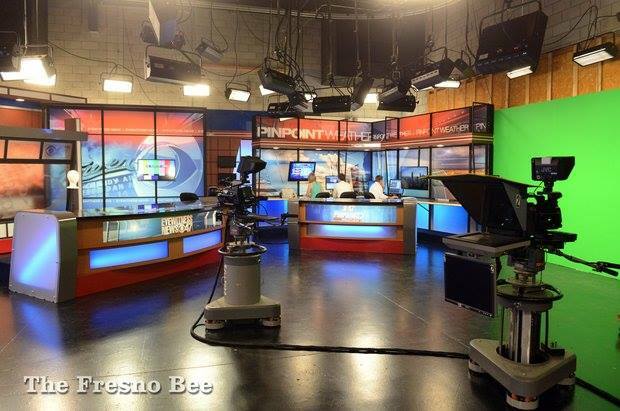 KGPE-TV, the Nexstar CBS affiliate in Fresno, Calif., is going HD with a new set. The set has similar elements from the sets seen at other Nexstar stations that have gone HD (including WBRE-TV and WROC-TV, among others) but also includes a different take on anchor desk and weather desk design and relies less on structural walls and more on dark framework set in front of printed graphics. The upgrade is part of Nexstar’s project to combine KGPE-TV facilities with NBC affiliate KSEE-TV.